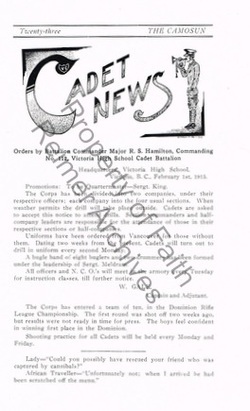 Cadet News of January 1915. Information on the Christmas Shooting, and the Cadet Drill that will be held in the Auditorium. The February edition of the Camosun, announcing that the Cadet Corps would be divided into two sections due to the influx of people joining the Cadet Corps in preparation for enlistment. 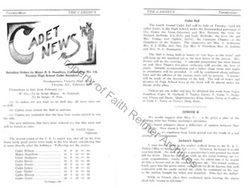 Cadet News for March. 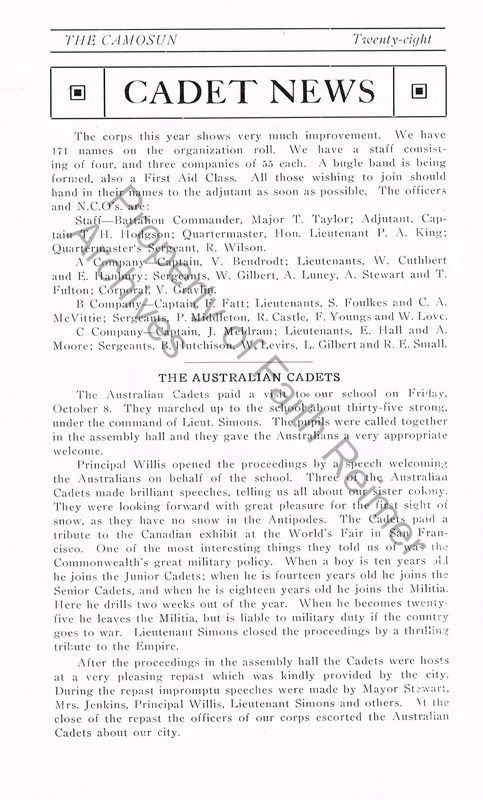 The Cadet Ball information, as well as promotions, and a possible mention of a disagreement between Cadet Percy Barr and another fellow Cadet by the last name of Burns. 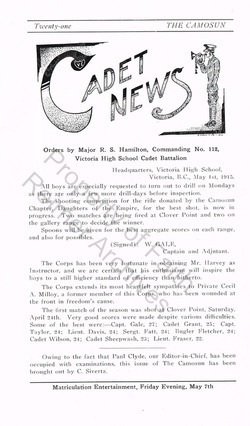 The Cadet News of the April edition of the Camosun. 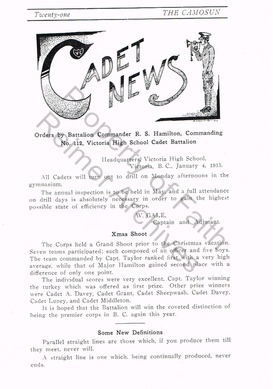 A new instructor for the Cadet Corps, and announcing the best scores of the shooting match at Cloverpoint. The November edition of the Camosun. The Cadet Corps have been divided into 3 main groups of 55 members each. The leaders of these sectors have been listed. 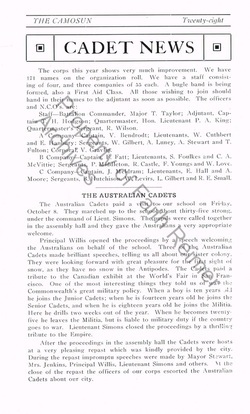 Also includes a reflection on the visit of the Australian Cadets.